Valletta 2018 and the theatre company Azulteatro are offering a free workshop and the opportunity for the participants to be part of the site-specific performance Sentieri that will take place at the Majjistral Park, in the program of Altofest Malta, in the frame of Valletta European Capital of Culture. 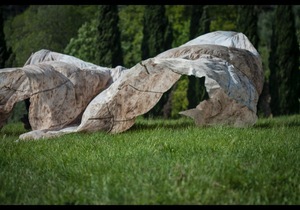 SENTIERI (http://www.azulteatro.com/sentieri/) is a multidisciplinary project, aiming to an innovative approach to the scenic research. It devises an original and unique performance for the Majjistral Park, specially conceived and created for that place. The project is led by Serena Gatti and Raffaele Natale, founders of Azulteatro. AzulTeatro is a meeting field of artists coming from different disciplines: dance, performance, music, visual art. Art is for us an alive substance, made of breath, flesh, sights, waitings, sudden explosions. We are interested in the process of creation, as a moment of research, and on performance as a dialogue, sharing the fragile and intense moment of alive art. Among all signs, we choose the most necessary and honest. Our muses are wonder, literature, journey. In this embracing Azul is fulfilled. Participants will be engaged in a research, experimentation and creation period from 9th to 19th April, leading to the performance on 20th, 21st, 22nd of April. Both the devising process as well as the performance will be done outdoors in the Majjistral Park. Participants should be physically and mentally fit as the “stage” is a big area within the park. They shall have the pleasure to rehearse outdoor for many hours a day (no matter the weather conditions). The ability to adapt quickly to the ongoing process as well as the respect for the natural environment we will be working with is required. Participants must be available during the rehearsal time and for all performances. It is a full-time project, we will take advantage of the two weeks together to work all days (with no stops) from late morning till sunset. The performance will be itinerant and last around one hour. The exact timetable of rehearsal will be given to the accepted candidates. There is no charge to apply and to participate. There is no contribution for participants. If you want to be part of the project, please send us your contacts to both the emails written below, and we will contact you: [email protected] and [email protected]org by Thursday 5th April 2018.